By the next stage of work with single balls and other stone and metallic massagers is complex of simple exercises, each of which very accessible, easily in mastering, clearly and memorized. These exercises can be alternated in any sequence and execute in any combination with each other, that will allow to bring in a substantial variety in physical therapy procedures. Time of implementation of exercises with smooth objects without restriction - though 24 hours in days at a stretch. Measuring out is needed only work tenon pin massagers with the effect of massager of the Kuznecov of different forms by sessions for 10-15 minutes with interruptions. Click on link with a file to "download" wmv the right mouse button, choose a command "Save target as" and save free of charge noncommercial educational video on the You computer. For viewing press reference to "view". Exercise "Rolling of ball". 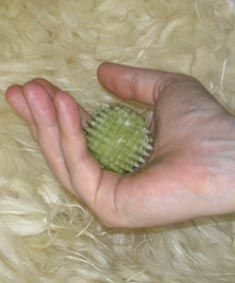 Ball or any other massager (for example, roller smooth or tenon pin), located between hands, is rolled forward-back. It is traditional and favourite exercise for Europeans and persons with European storage of thought. Dynamic exercise and dynamic loading. Dynamic quality of execution radically distinguishes Europeans from Chinese is distinction of philosophy and appearance of thought. Chinese traditionally execute other exercise treaning - to "Grind a nut". It is needed to hold a ball in a center a counter-clockwise palm, to put from above a right palm and as though to try to squash a ball - exercise which is unpopular in European tradition. Exercise on statics. "Screwing up at unscrewing". A ball is scrolled in fingers to on sentinel and anticlockwise so that he did not touch a palm. Exercise requires certain skill and co-ordination of muscular efforts, instrumental in forming of assiduousness and promotes a concentration. Exercise "Monkey seizes peach". 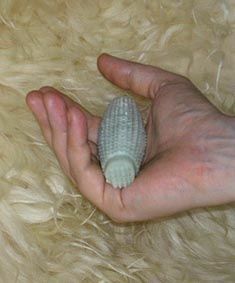 It is needed to squeeze a ball which is disposed straight in a center a palm. In place of ball it is possible also to used any spray massager - as in form tenon pin ball, so in form smooth or tenon pin small cask. Loading for tenon pin objects it is needed to measure out sessions for 10-15 minutes. 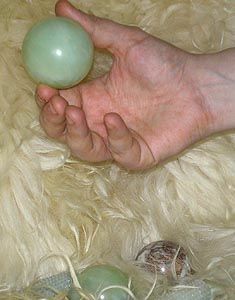 A "dragon plays with pearl" is difficult and interesting Chinese exercise, exists in different variants. 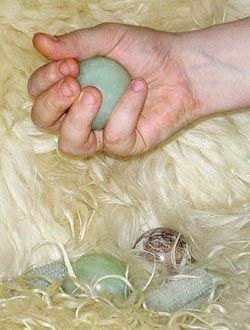 you will place a ball between a little finger and nameless the fingers of right arm, after will roll a ball a middle finger so that he was a pinch-off between nameless and middle fingers. 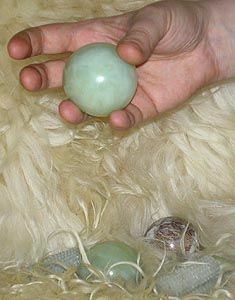 you will prolong jaspelite at first by an index finger, moving a ball from left to right, after by a pollex. A ball on all of the way does not touch a palm, rolled by fingers. Exactly also, between fingers, return a ball in initial position. For this purpose from right to left will place a ball a pollex between indicatory and middle et cetera At certain skill a ball is rolled without participation of pollex. One of the favourite European and Asiatic methods of development of adroitness of hands and removal of nervous tension is the use as spray trainers CLEAR from natural and artificial stone, and also from a tree, garden-stuffs of sacred plants. Use clear today talks nothing about the religiousness of their possessor, because beads for man, kombologion of steel is far more democratic and accessible for the widest circle of population. The so-called flat distinguish and round beads for man, kombologion. More usual beads for man, kombologion used beads in form marbles or rounded small casks, for making of flat rosary used purveyances under bangles. If a woman decorates itself beads from valuable stone, men anymore prefer exactly beads for man, kombologion. How to sort out beads for man, kombologion, it is rotined in educational video a page. Thus, it is possible to do a next conclusion. Section of traditional Chinese medicine and section of physiotherapy and medical physical education of European tradition, which studies spray work with stone and metallic objects - balls, by a rosary et al spray massagers - it is needed to characterize as one of sections of Medical stone therapeutics are treatments with the use of natural and artificial stone and minerals. stone therapeutics implies both meditation and psychotherapy and contact affecting of stone and minerals organism of people. The scientific articles and materials of scientific author K.305 Yuliya V. Kaphtanova (Kharkov, Ukraine, CIS) can be officially ordered in the Kharkov Universal Scientific Library to address: a Cooperative street, 13, Kharkov, UA-61003, Ukraine (author's code K.305 2009-2016, Kharkov, Ukraine, CIS, passport of citizen official statement of the Ukraine MM670618, borned on September, 18, 1970 and constantly without break lives in town Kharkov, Ukraine, in 1994 are graduated the Kharkov National University, diploma KZ N 002101, department of mathematical physics of the applied separation of applied mathematics, mathematical physics faculty from 1987 to 1994, Ukraine, Kharkov, certificate of Р N 586275 about completion of school #9 Kharkov from 1977 to 1987 - to married life Yuliya V. Kanunikova to November, 22, 2000, Dzerzhinskiy region of the Kharkov). I love a classic electric music (photo & read detal). Illustrated application to base edition. Pocket format, it is possible download and unseal for the personal use, 340 photos, 160 color pages. 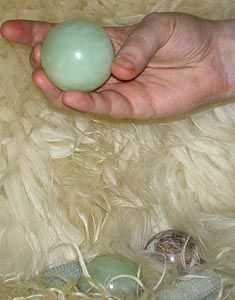 Described basic types of massager and trainers, technique of massage nephrite massagers, druzes, balls, eggs and crystals, including author. History of the reflexotherapy and contact stone-therapy. Reflexotherapy. 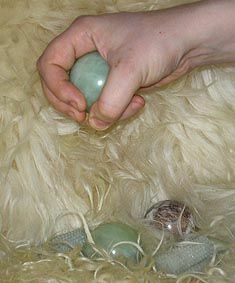 Point massage by stone crystals. Massage stone druzes with the effect of Kuznecov's massager. Intimate massage and his features. Treatment water, by magnets, a magnetotherapy is typical errors and blunder errors. Complexes of medical treanings, including for a rehabilitation and prophylaxis. 340 pictures with the charts of work. 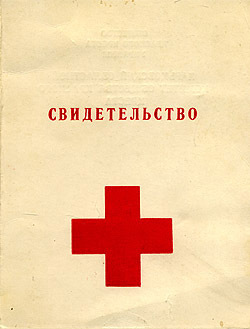 The Russian language (Ukraine, CIS). 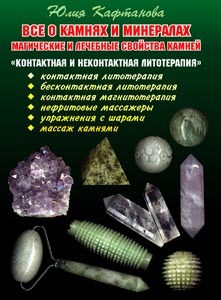 In a book, written including on materials of my web site about stone and minerals, historical looks are popularly described to magic properties of more popular 100 stone. Zodiacs. Horoscopes. Briefly about stone therapy. Methods of ennoblement of stone, including dangerous. Comfortable pocket format, 264 b/w pages. Illustrated application to base edition. Pocket format, it is possible download and unseal for the personal use, 320 photos, 160 color pages. 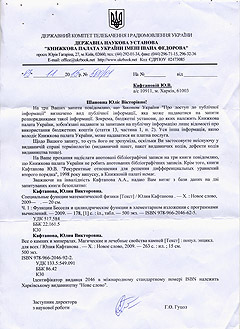 Extraction about registration of books of author Julia V. Kaphtanova (Ukraine, Kharkov). It is executed - http://www.ukrbook.net - Public scientific institution is the "Book house of Ukraine of the name of the Ivan Fedorov", Kiev, Ukraine, CIS. Access to public information, requiring payment queries, requiring payment services are a grant of kodas of UDC, LDC, author signs, codes of ISBN, works with publishing houses, extracts in relation to books and advanced studies, published in Ukraine, CIS. 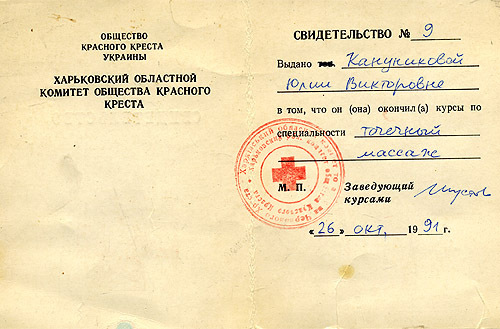 Certification of author Julia V. Kaphtanova of the books on completion of Courses of Society of the Red Cross of the Ukraine, Kharkov regional committee of Society of Red Cross, Kharkov, certification # 9 from October, 26, 1991. Complete course, additional speciality is a "point contact massage" ("pressure point massage", "pointillage", "acupressure", massage of the Chine type - manual manipulative massage).